One of the most important cause of cataract is increasing age. Is cataract specific for any age? 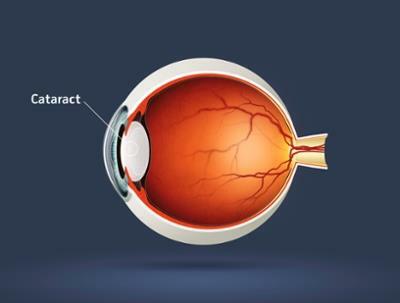 Can cataract occur at any age? 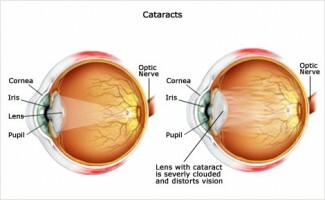 Though cataract is usually seen in increasing age; it is no longer the case. Cataract can occur at any age including in children (congenital cataract). An eye operation for cataract is the only way to treat cataract. Cataract eye operation involves removing the cataract or the clouded lens that has becomes non-functional. Cataracts are treated by a surgery called Phacoemulsification. It is the most advanced techniques to remove cataract through a minimum 2 mm incision. After removing the lens, an artificial lens called as an intraocular lens (IOL) is inserted into the eye to correct vision. Will anaesthesia be used for cataract operation? Yes. Numbing eye drops would be added to the eye. How long will the cataract operation last? It usually lasts anywhere up to 30 minutes. What are the choices of the lens after cataract operation? These lenses come in various strengths just like the glass lenses. Depending on individual preference for close vision or distance vision only the lenses of that specific power are used. So, if you choose to have a close vision then the lens power would only be helpful in reading a newspaper or doing detailed work but one would need glasses for distant vision in carrying activities like driving. If you want freedom from glasses after cataract eye operation, these are your best bet. This is an option for patients who are in middle age and more prone to develop cataract due to increasing age. In this procedure, the patient’s own lens is removed and replaced with a foldable multi focal lens. The advantage of this operation is that the patient does not need cataract surgery in future. This option is better suited for those with farsightedness along with presbyopia or those where early cataract changes have already started. This is a great option for patients who need close and distant vision. In this the dominant eye is corrected for distance and the other eye is adjusted for reading the correction. Before going ahead with the surgery; a trial of contact lenses is done where one eye’s contact lens is adjusted for distance correction and the other eye for reading. If the patient feels comfortable with the vision, then mono-vision surgery is planned. Patients who have high astigmatism and will undergo cataract surgery would be best candidates for the toric lens. How soon can I go home after the cataract operation? You would be kept for observation for 30 minutes to 1 hour in the hospital after which you can go home. You would be given post-operative instructions and prescription and then would be discharged from the hospital. Why Advanced Eye Hospital and Institute for Cataract Surgery? Advanced Eye Hospital and Institute deals with the latest diagnostic and surgical technology. Eye specialists in AEHI are trained from the best eye hospitals in India and abroad. At AEHI, all eye care services from diagnostic, optical, out-patient and eye surgery are available under one roof. Our team ensures that comfort, excellent clinical care and safety are the highlights of your AEHI experience. Micro-Incision stitchless surgery (MICS): - A minimum incision in cataract surgery decreases the surgically induced astigmatism. In MICS the removal of the cataract is done through a 1.8-2 mm incision with the implantation of the foldable intraocular lens. Advanced Eye Hospital and Institute has advanced IOL measuring tools to reduce any measurement related errors such as IOL master and the Immersion Biometry. Most Advanced Trifocal Lenses Available:- All kinds of latest and advanced lenses are offered including foldable trifocal lens, multifocal lens, astigmatism correcting IOL’s and the combination of the two. Complete Cataract Diagnosis:- Advanced Eye Hospital and Institute is equipped with latest and best in class diagnostic equipment like IOL master, Corneal Topography, and OCT machine. It is the one hospital in which all the cataract diagnoses are done under one roof. Modular OT with Hepa filter for complete Infection control:- The operation theatre at Advanced Eye Hospital and Institute are very advanced and have all the safety and infection control measures like Hepa filters, Joint Less floor & ceiling, Laminar floor in place. The Hepa filters are the one which does not allow bacteria or particles in the OT and Laminar flow make sure that the OT is always under little high pressure to prevent ingress of any air into the OT. Jointless floor, ceilings and walls prevent lodging of bacteria into crevices or joints and hence prevent infections after cataract surgery. Experienced Cataract Surgeon:- :- Advanced Eye Hospital and Institute is housed with expert cataract surgeons all trained from best institutes nationally and internationally. Largest Installation of Carl Zeiss Eye equipment in India. No Injection, No Blade, No General anaesthesia for cataract surgery.